At 40, the road less traveled is narrowing for Bob who struggles to write his next screenplay while dealing with eccentric tenants, unclogging drains and collecting rents, for his father’s business. But when his father falls ill, Bob decides to change and embrace the legacy of his family and culture for the first time. He even finds himself falling in love with a Jewish Iranian ‘princess’ from the community. But can he really change? Babak Shokrian was born in Teheran, Iran in 1965. In 1971, he and his family moved to Los Angeles where Babak attended USC and UCLA, graduating from the latter with a degree in Anthropology, with an emphasis in ethnographic film. After graduating, Babak wrote, produced and directed, his short film, Peaceful Sabbath (1993) which premiered at the 13th annual Jewish Film Festival in San Francisco. Peaceful Sabbath began to explore the themes of conflicting cultures and ethnic identity. Themes that were to form the basis of his independent debut feature, America So Beautiful (2001). America So Beautiful has been featured in over ten film festivals, nationally and internationally, including the IFP/Los Angeles Film Festival (2001) and the Berlin International Film Festival (2002) where it was picked up for French distribution in 2003. 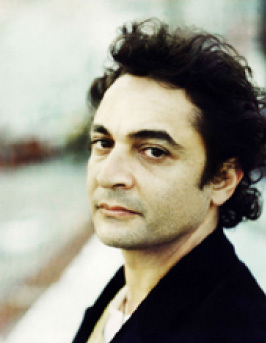 Living in Los Angeles, Babak continued to producing short and feature films for fellow filmmakers as a member of Filmmaker’s Alliance, a community of film artists dedicated to the advancement of true independent film through community action, founded by Los Angeles based filmmaker, Jacques Thelemaque. Babak wrote the award winning feature script, The Apology (No Regret), inspired by the life and times of Feraydoon Farokhzad, a legendary showman and political activist in Iran before the Islamic revolution, escaped to Germany after the revolution. The Apology (No Regret) is in preproduction.